Going to see a specialist at a hospital in France involves a carefully choreographed dance to the tune of computer printouts and the rustling of paperwork. In part four of our ‘Going to Hospital’ series, we look at what happens when you’re admitted. On arrival at the hospital, check in at the patient welcome desk. You will recognise this as there will be quite a few other people there with overnight bags, shopping bags and/or suitcases. You know the drill by now – take a ticket. They will check that you are you, let you know which room you are in, give you a direct dial telephone number so that friends and family can contact you, and tell you how to get the most important thing that you will need. This is something that is absolutely vital to the relief of boredom and the improvement of your french language skills. Yes, it’s the TV remote controller. Sometimes the TV (and radio) controllers are hired and paid for in the newspaper shop, sometimes at the welcome desk but you won’t be handed one, by your nurse, unless you have a slip to say you have paid. I have always found that I had to mill around until a white, pink or blue dressed person approached me, took my bar code and name, and showed me to my chamber. A quick demo of the private bathroom, the wardrobe, the TV, the phone, how the bed works, the light switch, the call button, the tricky window blinds that you can get caught up in if you are not careful, the air conditioning and the other most important thing, the wifi code (if they have one). At this point you won’t know what to do next. I hate goodbyes so I always try to use this time to hug and cry all over my loved ones. Once they are gone, I can relax (of sorts) and wait for the checks to begin. A nurse will come in, take your temperature, your blood pressure, ask if you have passed anything (ka ka or pee pee), and put a band on your wrist. She or he will also take your medications from you and arrange for them to be administered daily. A ward assistant will arrive with a bottle of water and a napkin (which is yours for the duration), a tick box menu for the next seven or so days, and you are all set. If any “hairy bits” are involved on or around the operation site these will now be removed by her using an electric razor. This is no time to be bashful, she has seen everything, and I mean everything, before. By now your use of the French language will have been exhausting, even if your French is fantastic. This is a stressful thing you are going through! So take some time and ponder the culinary delights that await you. I have some suggestions, don’t go for soup unless you like the thin, watery vegetable kind. Do specify vegetables if they allow you to, otherwise you will get green beans. Too many beans in hospital is never a good thing! For breakfast don’t just chance yogurt on its own – it will be unsweetened and plain but it will come with sugar sticks. It is a good idea to mix a fruit puree in with this. Don’t expect a pot of tea either – tea will be a tea bag and a cup of lukewarm water and you just know what that means! If you want milk you need to ask for du lait. Go for coffee or hot chocolate is my advice. 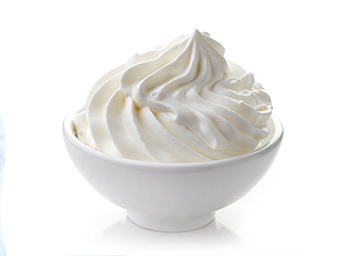 Another good suggestion, once on the road to recovery, is to ask people to bring you McDonalds ice cream – never has any ice cream ever tasted so good, I promise you. Salad or smoked salmon sandwiches also go down well as do chicken drumsticks and proper cheese. 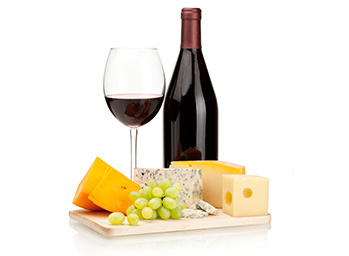 Once you are really on the road to recovery the hospital will sometimes arrive with a glass of red wine with your evening meal – save it for a piece of cheese that someone has brought in. The cheese will help! Anyway, back to your first day. Depending on the time of the op the next day you will be given a light meal and your drinking water bottle will be surreptitiously removed at the prescribed time before midnight. You are now nil by mouth, and ready for the op.